Would you like to come by plane it is possible, there are three airports nearby. 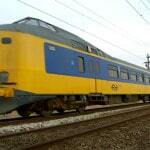 Airport Schiphol Amsterdam (NL) and from there you can get to Almelo by train or rental car. Airport Munster (D) and from there you can get to Almelo by train or rental car. Airport Düsseldorf (D) and from there you can get to Almelo by train or rental car.